Arsenal took a long trip east to Australia and China this summer as part of their preparations for the 2017-18 Premier League season and Gunners fans have been given their first glimpse of record signing Alexandre Lacazette. Lacazette has joined Sead Kolasinac in penning a deal in north London and has been getting to know his team-mates while performing in front of the north London club's swathes of fans living abroad. Unlike some of their rivals who will spend more than half a month travelling, however, Arsenal will spend the bulk of their pre-season at home in London, with the Emirates Cup closing out their schedule of friendlies as things stand. This is your complete guide to the fixtures awaiting Arsenal over the coming months before they return to competitive action. Australia was the first stop for Arsenal. They defeated Sydney FC 2-0 in the first match on Thursday , with Alexandre Lacazette scoring on his non-competitive debut, before beating Western Sydney Wanderers 3-1 thanks to goals from Olivier Giroud, Aaron Ramsey and Mohamed Elneny. From there the Gunners took a 10-hour flight to Shanghai, China, for a meeting with Bayern Munich at Shanghai Stadium. The game finished 1-1, but Arsenal triumphed on penalties . That match was part of the Chinese section of the International Champions Cup, but given it is the only ICC match Arsenal play it does not appear there is any tournament structure or league table like in the United States. 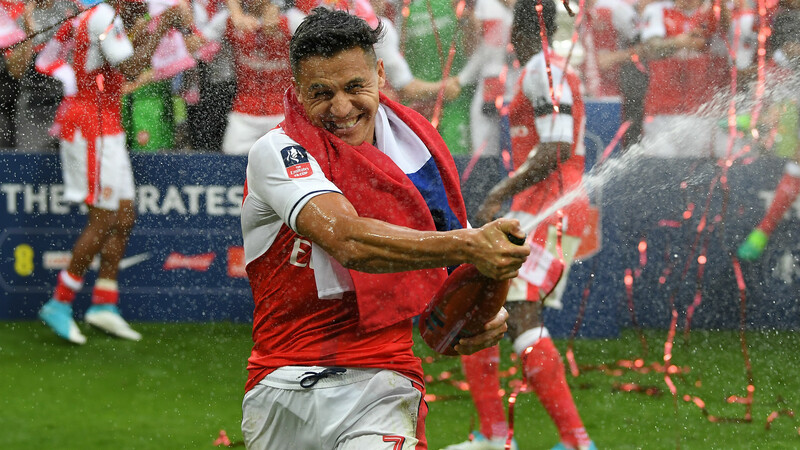 The Gunners played a Community Shield trial run between against Chelsea in Beijing on July 22, but were completely overrun as the Blues triumphed 3-0 . Following the Asia tour, Arsenal returned to London for the Emirates Cup, kicking off with a 5-2 win over Benfica before concluding pre-season with a 2-1 defeat to Sevilla. As FA Cup winners, Arsenal will meet Premier League champions Chelsea in the Community Shield on Sunday, August 6 at Wembley. It had been speculated that the Gunners could arrange another friendly after the Emirates Cup depending on the European qualifiers they faced, but that will probably now not be needed. The Community Shield will instead lead them into the start of the Premier League campaign, with their first match coming against Leicester City at home. It will be the very first fixture of the new league season, taking place at 19:45 on Friday, August 11.